Located on the North Island of New Zealand, Hamilton is situated along the Waikato River. It is the most populous city in the Waikato region with around 162,000 inhabitants. With a diverse economy, impressive retail infrastructure and beautiful natural landmarks, this city is a popular holiday destination for both local and international visitors. Cheap flights to Hamilton are now available for a limited time only, so book your flight today and experience the breath-taking landscapes and lively street culture this city has to offer! Hamilton is home to Hamilton Airport (HLZ), a 20-minute drive from the city centre. Cycle, walk or paddle around the natural attractions this beautiful city has to offer. Whether you’re adventurous or prefer to relax, there are many ways to explore and appreciate the great lakes and mountainous landscapes of the city. The city has an array of historical and modern features on display in the Waikato Museum. Other points of interest include the Sculpture Park and Classics Museum. 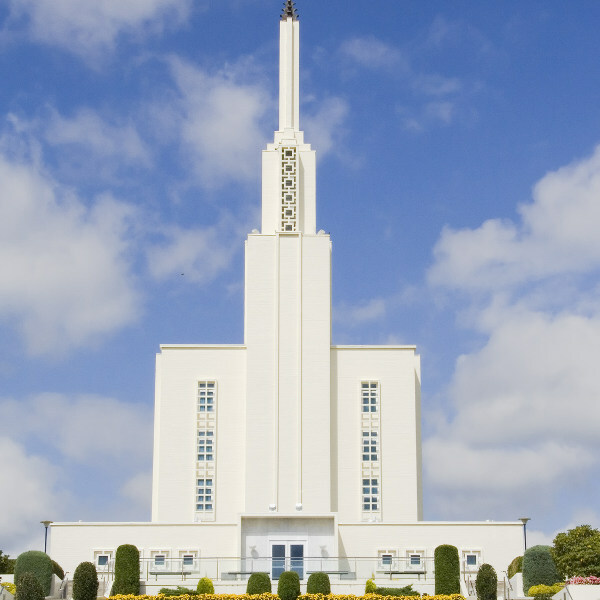 Overlooking the countryside, the Hamilton New Zealand Temple is a prominent feature well-worth a visit. Film buffs will appreciate the statue of Riff Raff in honour of Richard O’Brien’s cult classic. The best time to visit Hamilton is from December to February. During these summer months the weather is extremely welcoming; however, it is also the busiest time of the year for both local holiday makers as well as international tourists. The autumn months between March and May are ideal to take advantage of the cooler weather, fewer crowds and low-season rates. The renowned Hamilton Garden Arts Festival takes place each year at the end of February and hosts an array of music, theatre and film – not to be missed by arts lovers! Located on the banks of the Waikato River, Hamilton is a city filled with some of New Zealand’s greatest escapes. This beautiful city is located 130 kilometres south of Auckland, and with an array of both historic and modern attractions, it is no surprise that it’s one of New Zealand’s favourite holiday destinations among local and international visitors. 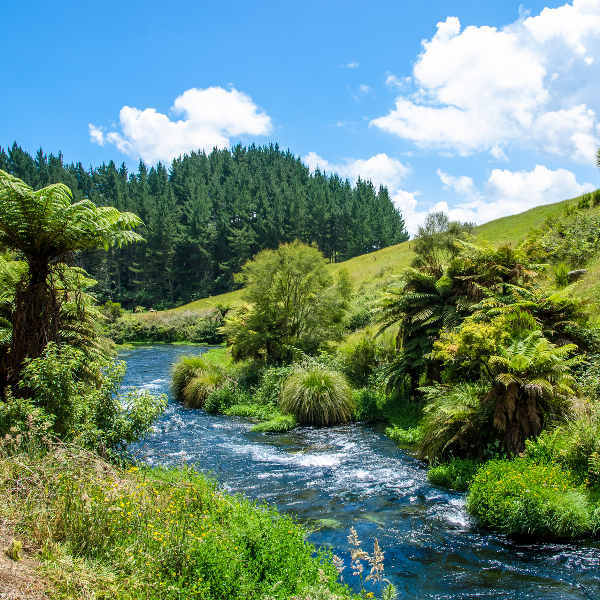 Visitors wanting to soak up the natural splendour of the surrounding landscapes should not miss the opportunity to visit the Waitomo Glowworm Caves or take a hike up Mount Te Araroa for a dose of fresh air and natural beauty. There is an abundance of waterfalls and nature trails leading out of the city centre. 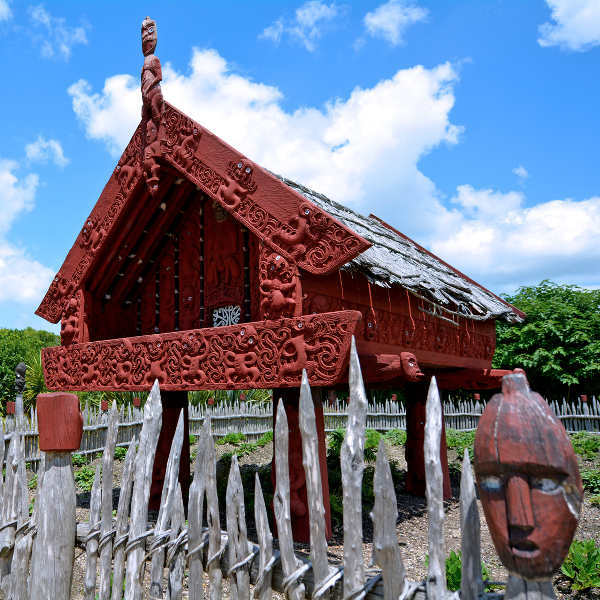 Take advantage of the beautiful weather and pack a picnic to enjoy in the Taitua Arboretum, or spend the day exploring ancient Chinese, Japanese and European civilisations in Hamilton Gardens. For the more curious traveller, the Classics Museum will both amuse and delight you with classic cars on display and a 1950s vintage diner to appease your appetite. Don’t miss the Riff Raff statue, a tribute to The Rocky Horror Show. Cycle or stroll along the Hamilton River Walk for some local history and points of interest. 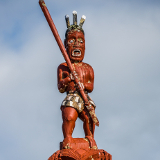 If joining a tour group is not up your street, hire a car (or campervan) and take a road trip to discover the many other exotic sights and sounds of the North Island! Compare several airlines, and book your cheap flights to Hamilton online at Travelstart! Hamilton is a very safe city with an exceptionally low crime rate, especially amongst tourists. The locals are very honest and friendly towards visitors and will often go out of their way to help you. Apply the usual vigilance with personal belongings. It is perfectly safe to walk around, although try to avoid walking alone at night, especially in badly lit areas. Taxis are very safe and affordable. The sun can be particularly strong during summer, so if you plan on being outdoors, pack a strong sunscreen. Weather conditions can change quickly, so always have warm clothes with you if you’re out for the day. The city has a wide range of pharmacies and hospitals. Should you bring medication from your home country, you’ll need an accompanying doctor’s note. Whether you’re keen to rough it or are looking for more glamourous accommodation, you’ll find that Hamilton has some fantastic and unique options both in and around the city centre. There are youth hostels and backpackers aplenty along Victoria Street and close to Lake Rotoroa. This area is where you’ll find some of the best and quirkiest coffee bars and eateries. 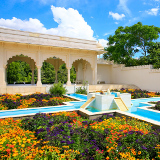 Popular attractions like Hamilton Gardens and Waikato Museum are within walking distance. Don’t miss the Hamilton Night Market along Bryce Street every Saturday night for a foodie extravaganza! 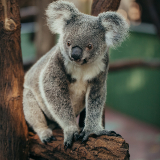 If you’d prefer to stay in more natural surroundings, there are many caravan parks and camping grounds in Raglan and near the famous Waitomo Caves, an hour’s drive out of town. You’ll also find self-catering cottages, bed-and-breakfasts and hosted accommodation among these hilly landscapes. Walking around the CBD is effectively convenient as Hamilton is a fairly small city. If you stay in the city centre, you’ll be able to walk around the shopping district and to nearby attractions in 5-10 minutes. Should you want to venture out a little and explore the nature trails along Te Araroa or Pukete Mountain Bike Park, you can hire a bike in town for around NZ$35 per day. The bus service in Hamilton is excellent and far more popular (and efficient) than taxis. Buses operate throughout the city in short loops where you can easily transfer between buses. A single ticket costs NZ$3.30, and if you intend to make use of public transport for a few days, it may be worth paying NZ$5 for a ‘BusIT’ card for discounted fares.